Recently I started to make good on a promise that I made to myself years ago: to design and maintain a database of all the arthropods that I have photographed and all those that I want to photograph someday. The kind of functions I wanted from such a database were to be able to organize my photos by date, locality, or taxon, as well as being able to generate a “wish list” of taxa to search for for a given region. I have so far set up three linked tables in a Microsoft Access database: a taxonomy listing (where each entry is a species and its parent taxa), an observation log (where each entry is an observation with time and locality information), and a range information table (where each entry is a species noting which regions the species occurs). So in order to start this database, I went back to the very beginning. Popillia japonica, the Japanese beetle. These two photos are the oldest two photos of arthropods that I have saved. They were both taken in 2006, while I was in high school, and both were in New Jersey. 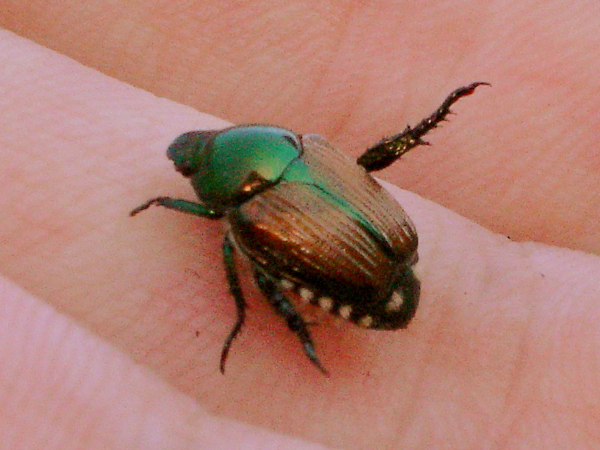 The first is Popillia japonica, the Japanese beetle, an invasive scarab I found in a blueberry patch. 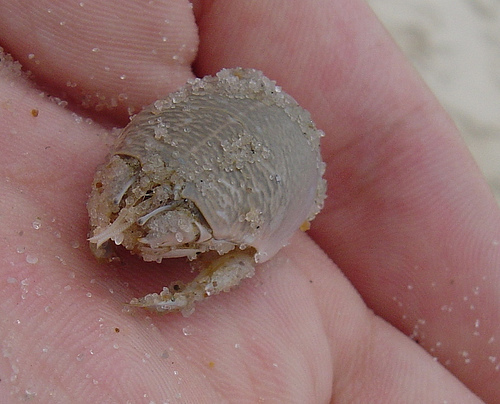 The second is Emerita talpoida, the Atlantic mole crab, which came out of the surf zone at Island Beach State Park. I have been told the difference between a professional and amateur photographer is that professionals don’t show their bad photos. Well, I guess I am an amateur because here they are and they are not good. While I still find my photography skills lacking, looking back at the photos I took when I started makes me feel a lot better. Both of these photos are from two generations of camera back from my present kit. Also, they were taken on automatic settings (as the camera lacked a manual mode). As I start going through the last decade of photos I am sure to uncover lots of fond memories and hidden treasures, and I will be sure to post some more of my finds on here along with my new encounters.